The importance of STEM (Science, Technology, Engineering and Maths) in the future of the UK and US business and industry cannot be overstated. But before we can expect today’s generation to have a lasting interest in STEM fields, we first have to capture their imaginations. This was a profound lesson I learnt over four years of using robotics to teach STEM during my undergraduate studies of robotics. I began by teaching STEM using the traditional methods but quickly learned that the information retention rate and engagement level was sub-optimal. For example some students could not grasp the difference between while and for loops, and others struggled to understand the relationship between gear ratio and speed. The decision to pivot to using robotics kits in lessons came after the realization that robotics covers every aspect of STEM. Even at the fundamental level, where student are simply driving the robots forward, for example, it is a lot easier to understand gear ratios when you can see the effects of your gear choices on the speed of your robot compared to that of your friend. Because robots have actual moving parts, flashing lights and sensors that can be combined and programmed, they generate countless hours of fun. I found that as my students’ creations came to life, they could have fun and be educated at the same time. There is a term for this called edutainment, which as you can guess means combining education and entertainment. It’s a great concept, but edutainment has been perceived as a failure in the software games industry for several reasons. First, there is the belief that edutainment must out of necessity provide entertainment as a reward after education. Second, as observed by Carly Shuler in her paper ‘What in the World Happened to Carmen Sandiego’, some developers believe that it is fundamentally difficult to create great products that both educate and entertain. Orbotix and their SPRK education program, which has been adopted into the syllabi of 250 schools worldwide as of August 2014. They clearly place emphasis on fun and use play to teach; they have also provided an SDK for developers to use with roughly 30 Sphero apps released to date, creating more entertaining scenarios. I achieved similar results by making the gaming elements in my robotics lessons the primary focus; for example when I introduced racing and other forms of competition into the lessons, interest sky-rocketed and the information retention rate was much higher. 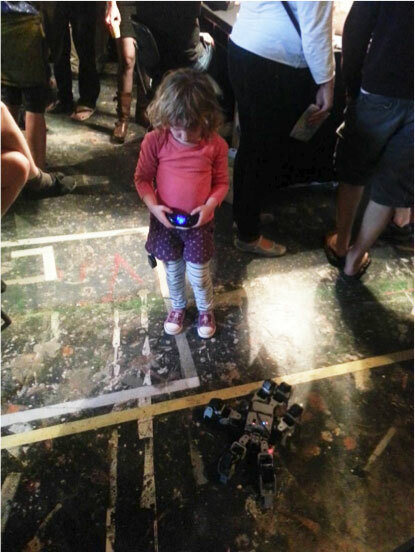 Robocup and Robocup Junior. Founded in 1997, these annual international robotics competitions aim to promote robotics and AI research to people of all ages. They focus on traditional entertainment activities such as dancing and football (aka soccer) as the primary motivator to attract developers to these events. It is clearly working, as the number of participants has grown from 1,966 in 2007 to 3,033 in 2013. The FIRST Robotics Competition is also an international robotics competition. Aimed at high school students, their robots have to complete tasks such as hanging on bars, scoring balls and Frisbees into goals and much more. The games change every year to keep the competition fresh, but once again we can see play and entertainment themes taking centre stage. As these projects become more popular, developers are learning that entertainment cannot be a secondary focus; it needs to come first. 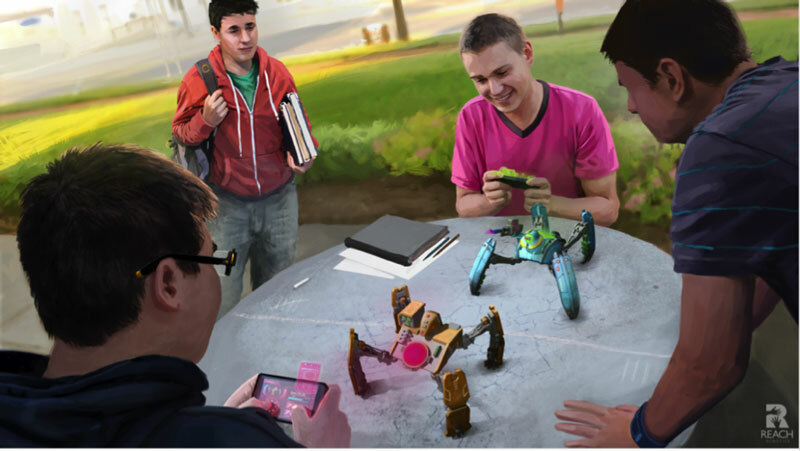 Looking to the future, what if we combined robotics and gaming to make a new breed of products that can truly capture the imagination of generations to come, and serve the dual purpose of education and entertainment? As a gamer myself, I believe we can learn a lot from the gaming industry, both in terms of improving retention and capturing imaginations. While the industry around tech toys and consumer robotics hasn’t seen significant change up to now, the gaming industry has undergone a massive transformation in the last two decades. For example, storylines and rewards are a big part of gaming, providing instant gratification after completing a quest or solving a problem; we can apply story lines and rewards to edutainment robots by allowing players to create or unlock new abilities and use them in competitive play with their friends. A second example is the improvement in the graphical quality of games that have been released in the last 20 years. As hardware capabilities increase and better design software are released, developers are quick to take advantage and use them in creating more visually appealing games. And as consumers become increasingly more discerning, those of us who make consumer robots and toys can use these advancements to create better designed robots. Another example is how gaming platforms have changed, beginning with standalone consoles, moving to PCs, and now onto mobile devices. We can harness the ubiquity of smartphones and tablets to offload computationally demanding processes from robotic gaming platforms, allowing us to create much better consumer robots. At my start-up, Reach Robotics, we are looking at doing just that. 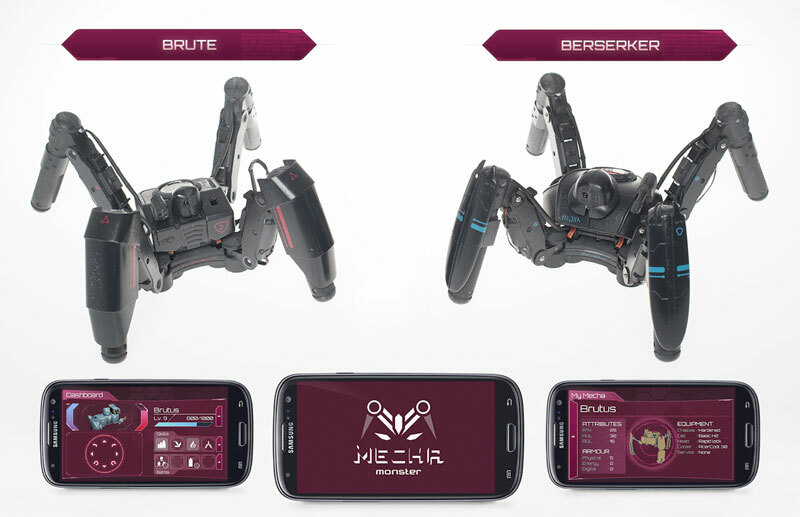 Our gaming robots, called MechaMonsters, can be controlled via app on your smart phone to battle each other in real life; with each battle they level up, unlocking access to upgrades. These will be the first robots to bring role play gaming into the real world , literally turning the world around you into the playing field. But there is so much more to them than meets the eye: they represent a quantum leap forward for STEM education. With our robots, young people and adults alike will come face-to-face with the technology of the future while learning valuable skills in robotics, coding and mechanics. For more information on our progress and developments you can follow our blog posts.